"Catalyst" is a rare find on the brokerage market. 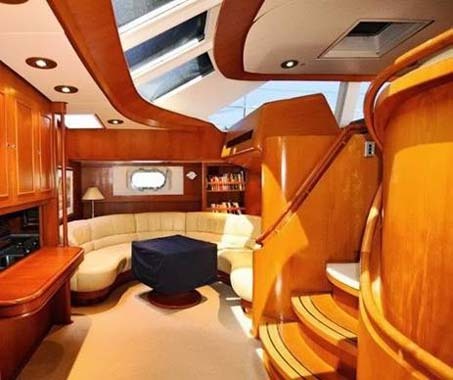 A 28m Alloy Yacht build in 1995 which has undergone an extensive refit between 2009-2012. She is one of the early Alloy's designed by Ron Holland and is exceptionally well traveled and maintained. She is ketch rigged with in-boom hydraulic furling and has Reckmann hydraulic furlers on both the headstay and innerforestay. I have always loved the cutter-rigged ketch setup. It offers numerous sail configurations for different weather conditions and makes for easy short-handed sailing in a breeze. Holland has a beautiful eye and "Catalyst" is typical of the graceful lines he has always drawn. His sense of proportion is impeccable and he manages to combine outstanding performance with sleek lines and functionality like very few in the business. The interior is beautifully executed in teak with soft radiuses in all her joinery. She has accommodations for 6 owners and guests in 3 staterooms, each with ensuites and berths for four crew in two cabins. 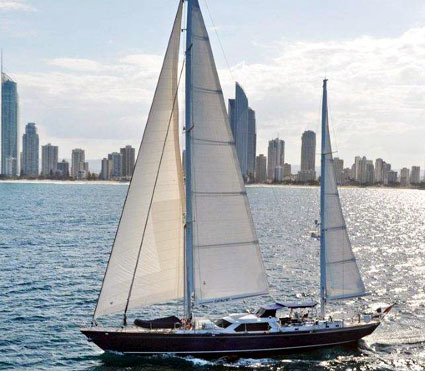 "Catalyst's" owner has paid great attention to every aspect of maintenance required. The rig was completely stripped down, surveyed and serviced in 2009. At the same time the main engine had a complete rebuild as well. Everything from hydraulics to soft goods have been serviced or replaced over the last two years. I think she represents an exceptional value and if you are looking for a fast passage-maker that was built to take the pounding, you should put "Catalyst" on your short list. Contact Curt Stevens 410-703-6294 for more information.